I was a huge fan of Dr. Seuss as a child and still am. He was a great teacher for children and as an adult I still am inspired when I see one of his quotes. Wisdom to follow throughout the years! 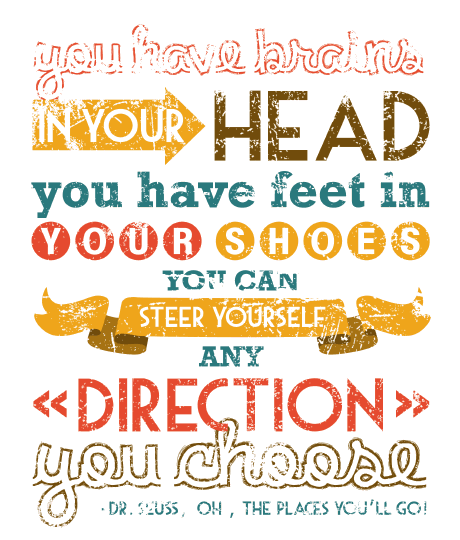 What direction will you choose to steer yourself this week?